China started a shanty town renovation program in 2015 in an effort to drive home sales in lower-tier cities, helping lift the country’s property values over the past few years. To calm the red-hot housing market, the central government applied a series of measures to punish speculators, such as setting higher down-payment ratios and mortgage restrictions. The Chinese government has continued to tighten property controls amid a slowdown in the economy, and 2019 could be a year of softening housing data, an analyst said. The year of 2019 could begin a broader slowdown in China’s housing market, analysts say. The country’s property market directly contributes over 10% of annual GDP and has added 0.8%-pts to the country’s annual growth during the past decade, according to Julian Evans-Pritchard, a senior China economist at Capital Economics. But the Pritchard expects its contribution to be less than half as large over the next 10 years. After three years of strong growth, China’s property sales flatlined in 2018 on the back of tighter controls, according Evans-Pritchard said. However, home prices have defied this slowdown and continued to climb “thanks to tighter housing supply and inelastic demand supported by compensation payments given to ex-shantytown residents,” he noted. In 2015, China started a shanty town renovation program in order to drive home sales in lower-tier cities. The program was “the key behind the housing boom over the past years” as it boosted sales, lowered inventory, and led to higher prices, said Deverell. That, in turn, strengthened expectations of more price increases and thereby triggered even more sales. To calm the red-hot housing market, Beijing has pared back compensation for the renovation program and applied a series of measures to punish speculators, such as setting higher down-payment ratios and mortgage restrictions. While the government continues to tighten property controls and as China’s economy cools down, its housing demand has finally begun to slow. In the first 10 months of this year, China’s home-sales growth plunged to 2% from last year’s 8%, according to Macquarie’s data. 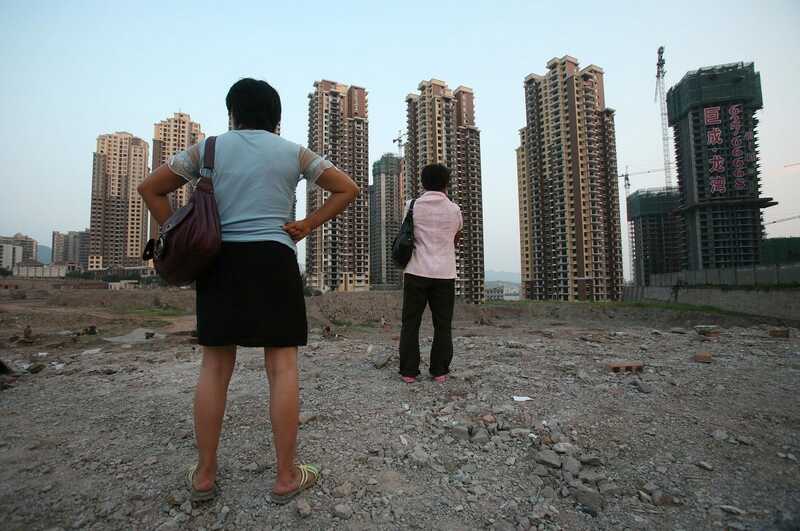 Reuters separately found in September and October, which Chinese property developers consider their “gold and silver” months for sales, home sales tanked at a double-digit rate and Chinese property giants such as Vanke faced massive protests after offering new buyers 30% discounts. Deverell expects the home-sales growth to continue falling and price growth to slow to a level more consistent with softer sales. “Given the cut on the shanty town renovation program, as well as the frontloading of housing purchases amid the latest housing up-cycle, the year of 2019 could see housing data softening across the board,” said Deverell.